Hiking the JMT in 2018? Here is what you should be doing now. Browse: Home » Hiking the JMT in 2018? Here is what you should be doing now. » Make some assumptions. The most significant assumption you will need to make is also the hardest to predict: how much snow are we going to get in the Sierra Nevada this winter, and how late will it linger. The experts refuse to commit themselves, but the consensus seems to be that we will get less than last year (2016/2017) but more than the year before. If I were forced to guess when the trail would first be clear enough to hike without special gear for snow and ice, I would say mid-to-late July. Other assumptions you may have to adopt are how much time you can get off for your hike and how many miles per day you are likely to be able to walk (which is more than you can, now, since you will have completed your training). » Make some decisions. In my planning guide I discuss five critical decisions you need to make to start your planning: will you hike alone or as part of a group, what route will you take (southbound, northbound, or JMT alternative), what time of year will you hike, what will you eat on the trail, and where will you rest and resupply. I suggest you decide early the second, third, and last item on this list. Settling on a route (and perhaps an alternate, if you are unable to get the wilderness permit you want) and developing an itinerary will make decisions on where to rest and resupply much easier. » Make a list of reservations you need. 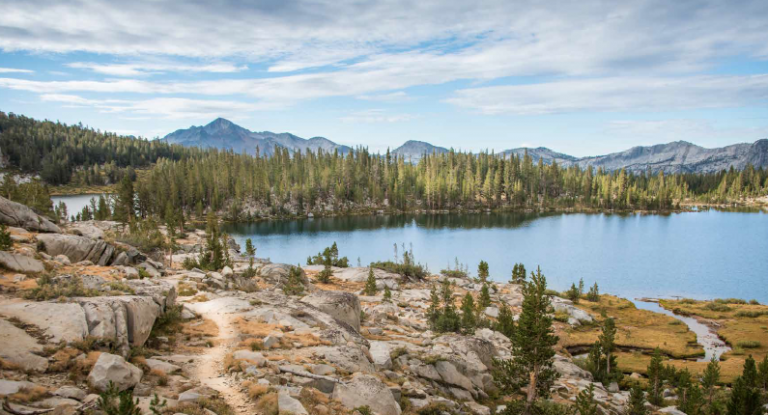 Unless you live close to the Sierra, you will probably need reservations for accommodations before your begin and after you finish. You may need airline reservations as well, though they can be more problematic since it usually costs money to change them. I like to take a rest day at Red’s Meadow and Muir Trail Ranch. In the past I have even stopped at the Lodge in Tuolumne for a good night’s sleep and a couple of good meals. All of those places require reservations. (Reservations at Red’s and MTR usually become available in January; reservations at Tuolumne can be made one year and one day in advance.) If you are going to have a resupply brought in via packer, that will need to be arranged. Having a comprehensive list to work down means you can start early and secure the reservations you need. » Develop a permit strategy. To quote from my planning guide, “With the possible exception of actually walking 211 miles, securing a wilderness permit to hike the John Muir Trail is the most difficult part of a thru-hike.” Although there are lots of way to approach this (I devote a whole chapter to it, including several pages of alternatives), most strategies boil down to one of two: either focus on a particular trailhead (e.g., Happy Isles) and be flexible as to when you begin your hike (and when I say flexible, I mean be willing to start anytime from early July to late September), or focus on a particular time and be flexible in regards to your route. If you are like most hikers, the second alternative is probably superior. If you are retired and have no other commitments for the summer, the first might be just the thing. Planning your hike is part of the fun; starting early not only increases the odds of success, it increases the enjoyment. We arrived on the Yarts bus at Toulumne on August 7, 2017. We got in line at the ranger station for a permit at 10:50 am. Twenty minutes later we were holding our permit for the JMT. Spent the night in the backpacker camp and started our journey the next morning. That would definitely work, Pat. Thanks for the comment!